■Details: See the “Press release PDF ver.”(in Japanese only) above for Media Guidelines. 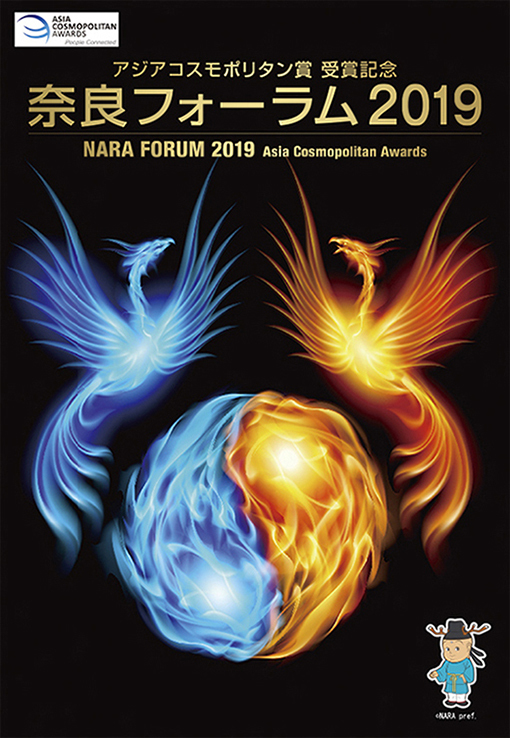 Nara Prefecture is pleased to announce that the Economic Research Institute for ASEAN and East Asia (ERIA) and Nara Prefecture will jointly hold the Asia Cosmopolitan Awards Commemorative Forum in Nara 2019 on Thursday, January 10th, 2019 at Nara Kasugano International Forum IRAKA. This event will take place as a commemorative event of the Asia Cosmopolitan Awards to be granted by ERIA. The Asia Cosmopolitan Awards recognize individuals and organizations that have made excellent contribution to the development and enrichment of the East Asian Community by means of cultural and economic integration, the narrowing of developmental gaps, and the establishment of sustainable growth of society in the region. These international awards are granted by the Economic Research Institute for ASEAN and East Asia (ERIA). The commemorative forum on the 10th will feature commemorative lectures by the Grand Prize laureate HE Mr. Yasuo Fukuda and other awardees, as well as a keynote address by ASEAN Secretary-General Lim Jock Hoi. On the 11th, educational programs by laureates will be available for university students. Special lectures will be given by Dr. Richard E. Baldwin at Nara Women’s University, and by teamLab at Nara Prefectural University. For this forum, not only will we organize a commemorative photo session and a joint press conference, but also will ensure interview opportunities for the educational programs. We truly look forward to seeing you at each event’s venue.